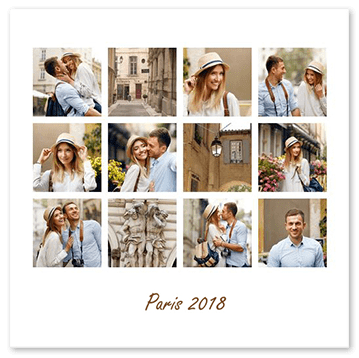 12 Photo collage maker – 250 FREE templates & printing as a number! The 12 photo collage maker makes it easy to put together a 12 photo collage online. Just select the photos you want to use from your computer or smartphone. Then decide which template in the 12 photo collage maker you prefer. Transfer the 12 photos and these will be automatically placed into the template by the 12 photo collage maker. The system is foolproof. Making a photo collage with 12 photos couldn’t be easier. The whole process takes seconds. 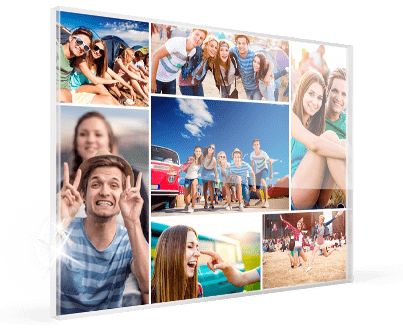 But even after your 12 photo collage has been automatically arranged, you have numerous options to edit it: All inserted images can be cropped, rearranged or coloured. The 12 photo collage maker allows you to make a fully-customised collage. 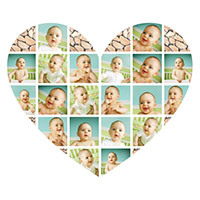 The photo collage for 12 photos can be printed in various ways. But most customers decide on printing their collage onto canvas or as a poster. If you want to give the finished collage as gift, don’t forget that printing can take several working days. You should plan in three days for this. Tip: 12 photos? We also provide templates for calendar collages. Tip: Upload all 12 photos together. These will be placed in the layout automatically. 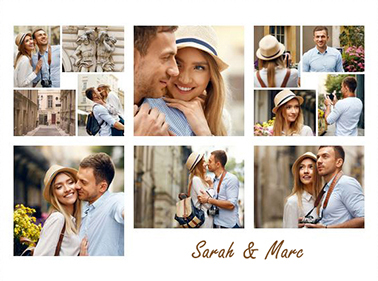 The photo collage with 12 photos is one of the most popular collages. Because of the matching number of images, the collage can be used as a sort of calender. But it’s worth having a look at our other templates too. 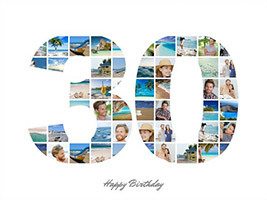 Creating a collage with many photos allows you to put together a particularly large photo collage, for example. 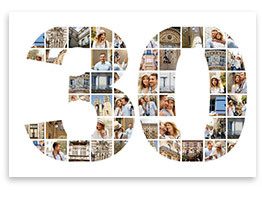 There are more than 200 collages to choose from. Text collages are particularly popular. The user then has the opportunity to convey a message with the collage. A text version is also available for the 12 photo collage. 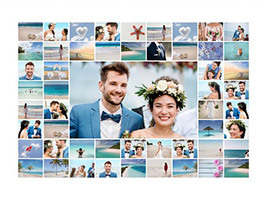 Basically, the photo collage for 12 photos has a huge advantage: With only 12 photos, it is ready much faster than many of the other photo collages. The 12 photos can usually be arranged on the collage in just a few minutes. Our tip: Just try it out and create your first photo collage with 12 photos.